We can help with all aspects of networking, whether it be for business or home, wired or wireless. There are many benefits to having a well set-up and configured network. We can advise on planning new installations as well as support and consult on existing networks. Services include cable installations, data points, switches, wireless access points and wi-fi boosters. A well configured network can lead to better efficiency through increased communications between devices. Security is always important with regards to networks. 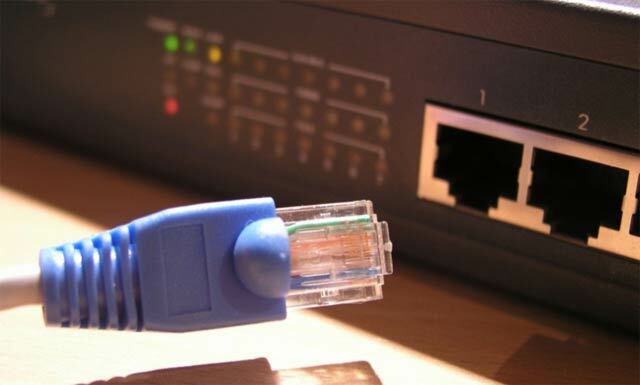 We can advise on solutions and can configure routers so that wireless connections are secure or create VLANS for private/public segments. We can install Cat5 & Cat6 cabling and data points for home and business. Small jobs are welcome. Weak signal or dead spots at your business or home?. Installing an additional wireless access point can be inexpensive and quick. Effectively locking down a network against unwanted intruders is important. Your computers and files can be at risk. For SoHo and business users we recommend Draytek routers. We have many years of experience of installing and configuring Drayteks. 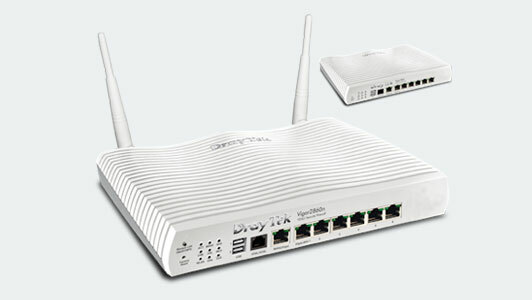 For situations where reliabilty is important Draytek routers can be a cost effective solution. The large range of routers have many feature rich options including the ability to make connecting locations via VPN straight forward. VLANs are also a good solution for premises that have both public and private networks eg. Hotels, cafes and bars.